Sam Zaid was a student at Singularity University’s Graduate Studies Prgram 2009 (GSP-09), representing a GSP Team Project focused on the future of personal transportation. Gettaround, Inc. creates peer-to-peer car sharing today to contribute to a more intelligent transportation grid in the future, reducing health and environmental damages that exist today. Sofya Yampolsky was a student at Singularity University’s Graduate Studies Prgram 2009 (GSP-09), representing a GSP Team Project focused on bringing 3-D printing of homes to the developing world. Dr. Ralph Merkle, a leading expert in nanotechnology, gives a non-technical introduction to nanotechnology and the future of manufacturing at the atomic level. From the 2009 Executive Program at Singularity University. Ralph is also a Senior Research Fellow at the Institute for Molecular Manufacturing. Dr. Ray Kurzweil is the Chancellor of Singularity University and is a technology entrepreneur, inventor, futurist, and author (including 2005′s “The Singularity is Near”). 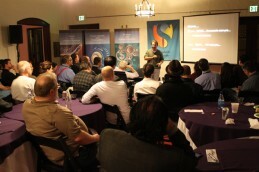 Here, Ray delivers the opening speech at the 2009 Executive Program at Singularity University. The 2009 Graduate Studies Program was the inaugural 9-week summer program at Singularity University. Here is a brief overview of some of the robotics and space tracks within SU, including the Vertical Motion Simulator at NASA Ames, advanced robotics at Willow Garage, and a Zero-G flight simulation. Music courtesy of Philip Sheppard. Imagine a direct connection between the human brain and the world’s most powerful computers… What if you could type with your thoughts? Or help the blind to see? Or give an amputee control over his bionic arm? 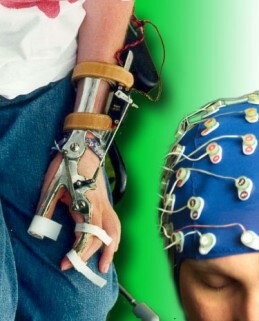 How can the Brain-Computer Interface (BCI) positively affect humanity’s grandest challenges? Singularity University Executive Director Salim Ismail talks with Andrew Hessel after his lecture at the inaugural Executive Program. ‘Synthetic biology will rival the IT industry in the next ten years’. Singularity University Executive Director Salim Ismail interviews Dan Barry, former NASA astronaut and robotics entrepreneur, about the future of robotics and what we can expect over the next ten years. Daniel Kraft discusses the future of medicine with Salim Ismail, Executive Director of Singularity University, after his lecture at the inaugural Executive Program. Nanotechnology pioneer Ralph Merkle discusses the future of the field with Salim Ismail, Executive Director of Singularity University. Filmed following Dr. Merkle’s talks at Singularity University’s inaugural Executive Program. CNET reporter Daniel Terdiman spent a day with SU’s Executive Program. Full coverage of his experience is at http://news.cnet.com/8301-13772_3-10394876-52.html. "MOUNTAIN VIEW, Calif.–While I’m sure that many of the people in the room were familiar with prediction markets, I wonder how many of them had ever seen an active one up close and personal before.